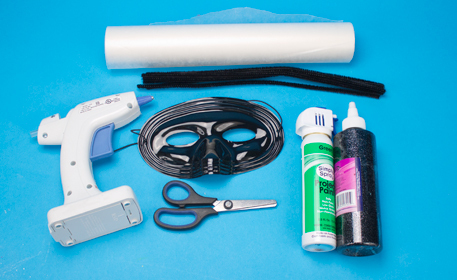 Get ready to spook your friends this Halloween, by creating your own Frankenstein mask with Fuzzy Sticks and black Glitter Glue! 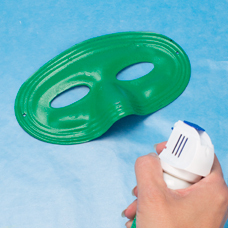 Place the plastic mask on a piece wax paper. 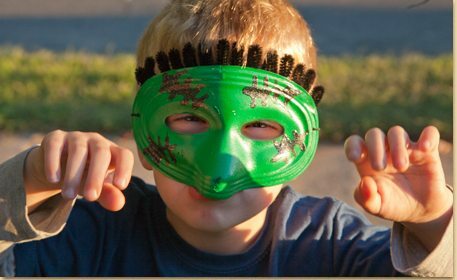 Using Simply Spray® Green Project Paint, spray one even coat of paint on the mask. Begin and end spraying off the project to prevent splatter. Let the paint dry approximately 30 minutes and repeat with one more coat of spray, if needed. 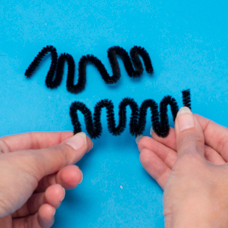 To make the hair for Frankenstein, bend (2) black fuzzy sticks in a zigzag, as shown. 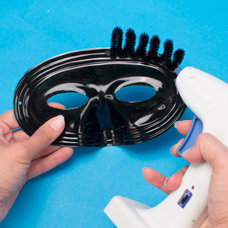 Using strong craft glue or a hot glue gun with adult assistance, glue the black fuzzy sticks to the back of the mask so they stick up. 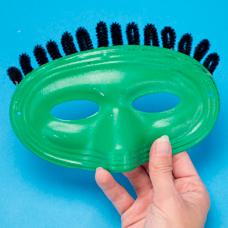 Turn the mask over and make any adjustments to the hair by bending the fuzzy sticks. 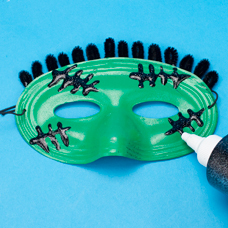 To finish the mask, add Frankenstein’s scars using the black glitter glue.